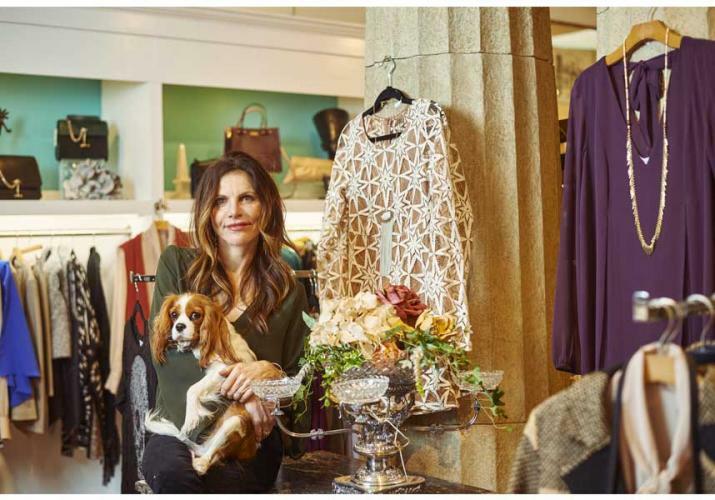 Lucie Stansbury didn’t always envision herself owning Liv Boutique, one of Louisville’s elite fashion and lifestyle boutiques. In 2000, Lucie resigned from a corporate marketing career to manage the family antiques business where she would often travel to Nashville for tradeshows. “While there, I would spend my free time exploring small boutiques and galleries, loving the environment, the fashion, styling and design which transcended antiques and home interiors,” Lucie explained. “Hence the wheels started turning.” Liv Boutique opened its doors on Lexington Road in August 2015 and it’s safe to say that Lucie has no regrets. When asked what would surprise most people to know about her, Lucie laughed and said, “There’s not a lot of surprise! Anyone that meets me knows right away that I’m a talker and am fascinated in learning about other people’s lives and interests.” As soon as you walk through the doors, you’re greeted with Lucie’s energy as well as her three lovable dogs that welcome you with wagging tails. “We love to see new faces from out of town or across the street!” Lucie explains. Liv Boutique is perfect for women of any age. They offer contemporary ladies apparel and accessories that both moms and daughters love. It’s a place for those who love shopping, and for those who loathe shopping, because of the relaxed environment paired with friendly, approachable staff. “We have the latest trends as well as quality staples at a wide range of price points, while still maintaining the highest quality and integrity,” Lucie described. “Our focus is to introduce the unique – we showcase hand-selected fashion designers from all around the world that may not have emerged yet into this area,” Lucie explained. In addition, they proudly offer popular styles from established labels. She focuses not only on quality and integrity, but also to deliver products which nurture the mind, body, soul and the environment. Liv Boutique goes beyond the typical shopping experience. They offer a clothes donation drop-off as well as personal wardrobe/closet consultations to simplify and keep your wardrobe current and relevant. “We understand closets are rarely big enough and tend to collect clothes that haven’t been worn for quite some time,” Lucie explains. They also offer personal styling consultations to help you complete your look. They offer a fun assortment of gift items for the home, featuring handmade studio art pieces and antique/vintage accessories from around the region. “Inventory is always changing, making each visit fresh!” Lucie said. Whether featured as merchandise or creatively utilized as store displays, all are available for sale. As if their unique selection of apparel, home items, gifts and accessories wasn’t enough, they also offer a full line of dermatological grade mineral makeup as well as unique fragrances and body products. Beauty sessions can be scheduled or guests are welcome to stop in and sample the color palettes. 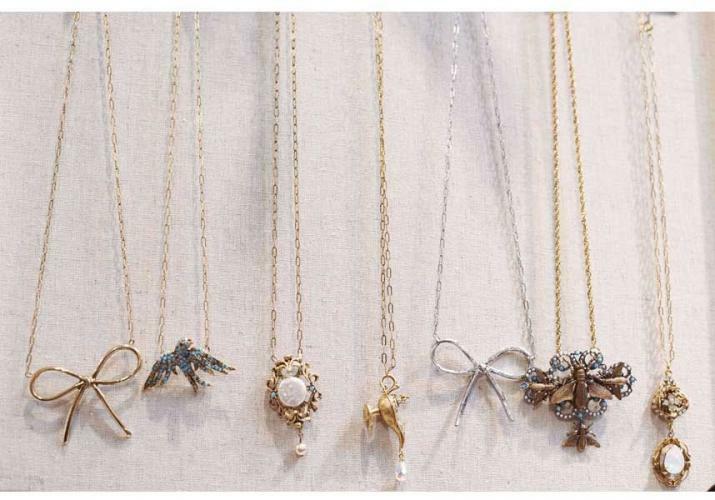 Keep an eye out for some very exciting new lines that Liv Boutique will start carrying in 2017! Some of them include Adriana Pappel, Alex and Trixie, Black Halo, Gretchen Scott, Julie Brown, Lola and Sofie, Tyler Boe and Yoanna Barachi.